Profession­al Residentia­l and Commercial window cleaning. Brilliant clean inside and/or out. Residentia­l and commercial­. 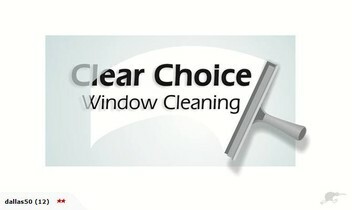 We can clean your windows, inside and/or out, when it suits you, please call us for an honest competitive service. Steve and Debbie: Wow, very kind words, thanks soo much. Glad everything was to your liking. Thankyou so much guys for doing a fantastic job of my windows at such an affordable rate will be getting you back next year!!!! Steve and Debbie: Thanks Lynette we are glad you are happy, see you in 2018! Can't recommend Steve and Debbie enough. They are so thorough. Windows look amazing every time. Steve and Debbie: Many thanks guys, glad you are happy! See you next time. Cannot recommend highly enough. Steve and Debbie are thoroughly professional and extremely meticulous in their cleaning. They did an amazing job cleaning the windows in our school in what was challenging weather conditions (and also with windows that had not been done for some time and were fairly revolting!) Certainly would recommend to others and will definitely be using again. Steve and Debbie: Thanks so much Simon for your very kind words. So glad you are happy with our work!! We had Steve and Debbie clean our windows last week and, without doubt, they did the best job we have ever had done on our windows. They were fast, efficient, very reasonably priced and I have no hesitation in recommending them to anyone who wants a great job done. They even did the glass on the internal doors!! Fantastic job.